The covered entry leads to an open concept 1st floor plan. The cathedral great room includes a fireplace flanked by windows for plenty of natural light. The mudroom loaded with convenience including a covered entry way makes this home "one floor living". 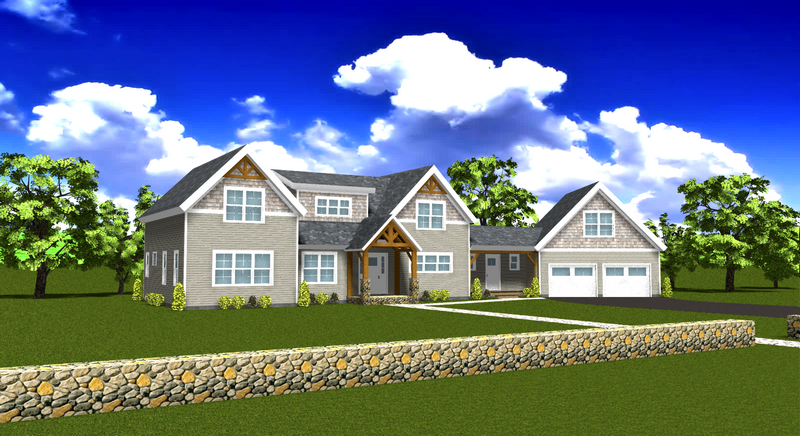 An office, large master bedroom suite and a screened in porch complete the 1st floor. The central staircase leads up to two large bedrooms and a full bath on the 2nd floor. One bedroom includes a balcony overlooking the greatroom. A two car garage completes this beautiful home.